The GALTECH Pro provides you with crystal clear water flowing out of all taps on your property. which in turn saves the lifespan of appliances, water pipes and geysers. 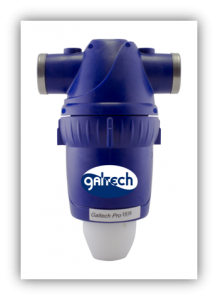 The Galtech Pro is the only filter that cleans your water while maintaining the quality and correct pH. All vital minerals such as calcium and magnesium stay in the water. Concerned with the water problems in South Africa, the partners of Galtech South Africa went in search of solutions. Their goal was to offer top quality, hi-tech, cost effective and low maintenance products that solve the water problems faced by South Africans. Due to massive advances in technology and engineering in recent years, we have been able to source products that meet our strict criteria and the needs of South Africans struggling with issues relating to good quality water. This is the only water filter you will ever need. Five year limited product warranty. The mark is your assurance that the product has been tested by one of the most respected independent certification organisation in existence today. periodic unannounced inspections and product testing to verify that the product continues to comply with the standards. We offer free delivery anywhere in South Africa.